Starting A Jewelry Micro Business-What Are You Missing? 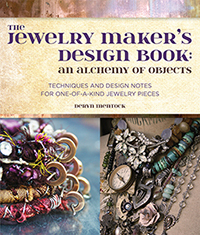 You've taken over your dining room table and your jewelry making gear is overflowing into the living room, kitchen and entryway of your home. Your friends and family are raving about your talent and potential: "You should sell that!" "Do you teach classes?" "Can you make me one of those?" You're seriously considering the next step in your journey: starting a small business. Your head is probably swimming with questions. What does it take to realize your dream? I'm no business expert but what I can do for ya'll is tell you a bit about my own journey and give you a couple of tips. There's a lot to know but, in the initial stages, I want to give you a few things to think about. For more info on my online classes, please click here! Beating Procrastination And Getting Things DONE! Does Your Micro Business Need A Logo? You may have noticed, on my Something Sublime facebook business page, the debut of my brand new logo, along with some links that I posted about small business branding. I got quite a few questions and comments about it so I thought I'd share, here on my blog. While I'm no expert on branding, or logo making, I'm happy to tell you guys my process, so far. It's that time of year, again. It seems like I'm almost always caught off guard. It's time to dream up some new classes and send in proposals for the various venues that I hope to teach for, next year. Yes...these things happen almost a full year out! That's part of the frustration (and excitement!) of the process: keeping it genuine and fresh, a year later. So, I've managed to squeak out some interesting class proposals (most of them, I'm super excited about! Check it: Art Retreat in the Desert. More to come!) but it was a rough road, this time. I'm not sure exactly why that is, except to say that I've had an extremely busy year and a half...make that three quarters...and here we are, in September. Finally, finally, I can breathe again and maybe do something that doesn't involve a deadline! Not that deadlines are necessarily bad; deadlines are a good sign of work and purpose. But, there is much to be said for free studio time. It seems I haven't had much of that in this past season and I'm thinking that's where my struggle to be inspired has come from. There we go. I said it. I've struggled to be inspired. Why, oh why, is it so hard to admit that? I surely am not the only one who feels, at times, like there's not one original idea in her head? But, I'm taking a look at my blog and my work, in search of authenticity. I am rarely struck with artist's block or apathy toward my work and I think that's why it's difficult to admit the times when I do. After all, I'm am an artist...an exciting, intriguing, creative thinking creature. Right? Which means I'm a bit thrown by the times when I feel like a dull-witted, uninteresting non-creative...the times when it just doesn't flow. So, why even talk about it? Why throw it out there, into the void...when it makes me feel exposed? Good news, my friends! Registration is open for my online class, The Art of Closure. Looking for ways to make your pieces more unique? Closures are one of my favorite ways to add interest to a piece of jewelry. Really, there are so many options, it was hard to choose what to include in this class. There's some good stuff here. I know a lot of you have waited a long time for this class...it's finally back! Ok...class starts September 26, 2014. That's right around the corner, ya'll. You can sign on with me, and get all the details, right HERE. To make it easier for ya'll to plan for my upcoming online stuff, I've got some save-the-dates for you, as well. This will give you some idea of what's coming up so you won't miss out on the fun. I couldn't go too far into 2015 because I'm working on a few brand new online classes and don't have a solid idea of when they'll be done. But...I'm hoping to have at least one of them for next year.